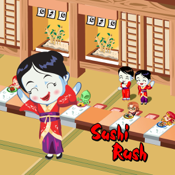 The 'Sushi rush' is an exciting time management game. You will manage a 'revolving sushi restaurant'. For the limited time you must make the right dishes in time to serve customers. a famous franchise sushi restaurant and to earn much money. 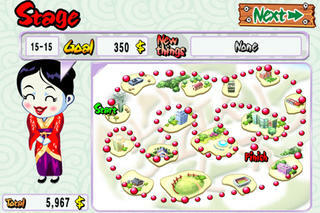 As stages go by, more sushi will be added and more complex your sushi making will be. Besides, additional things which make your business more exciting will be open, too. You can use various business skills to serve customers faster and make huge money. Through the game points you can use the magical business skills. Of course, business skills make your business more absorbing and thrilling. Easy and addictive 'Sushi rush' will keep your adrenaline going. -Plenty of sushi recipes to make. -Lots of upgrades and business skills.